The palace is a cruel place. And yet every woman who thirsts for power flock there in droves. Our heroine is different, in a sense. She went there for refuge, but in every way it is as dangerous as it is on the outside. This episode marks the beginning of the long (about 46 eps.) journey that Lu Zhen undertakes. Lu Zhen stands in the bitter cold as Teacher Yang warms her hand with a little pot of coals, for lack of a better term. 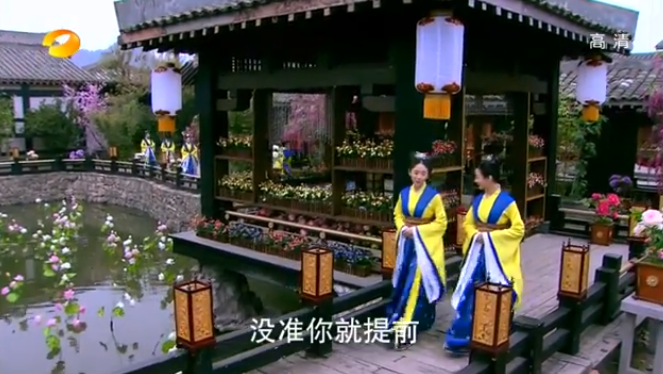 She says that Lu Zhen is pretty impressive, to be able to stand there for so long, not making any sounds of complaints. No wonder she got in even when the palace gates were closed. But she warns Lu Zhen, now that she’s here she must not believe herself to be special, she will not get any kind of special treatment. Lu Zhen goes back shivering and while sheds a tear or two, is determined to do well. She is a quick learner and a good friend. She helps A Ning get out of trouble when A Ning knocks over a candle. Lu Zhen is also knowledgeable in ways that other girls are not, she can recognize the type of incense by smell and color, which makes some girls jealous at her knowledge. She’s a smart and fast learner, but as her teachers observe, she makes obvious mistakes, it’s as if she’s trying not to seem smart even when she is. 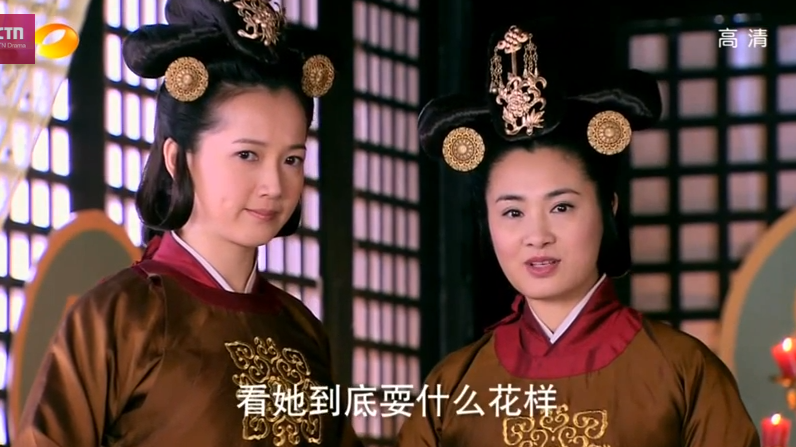 Her enemies, the two girls who were with her on examination day are Shen Bi (or A Bi) and Shen Qiu Niang. A Bi is the daughter of a 5th grade official and She Qiu Niang is her hanger on. A Bi and Shen Qiu Niang go out of their way to make Lu Zhen’s life miserable, like pouring ink into the Lu Zhen’s face wash water. 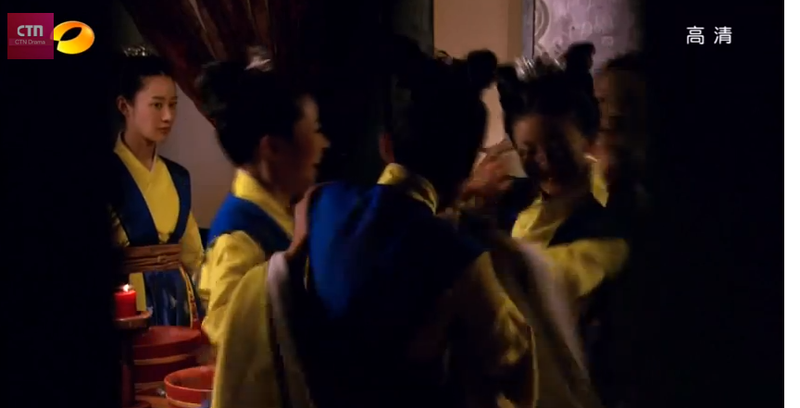 Lu Zhen isn’t the kind to make a scene and instead starts a water fight with the rest of the girls. Assistant Teacher Song is called in by Wang Shang Yi, who is one of the highest ranking officials in the harem. 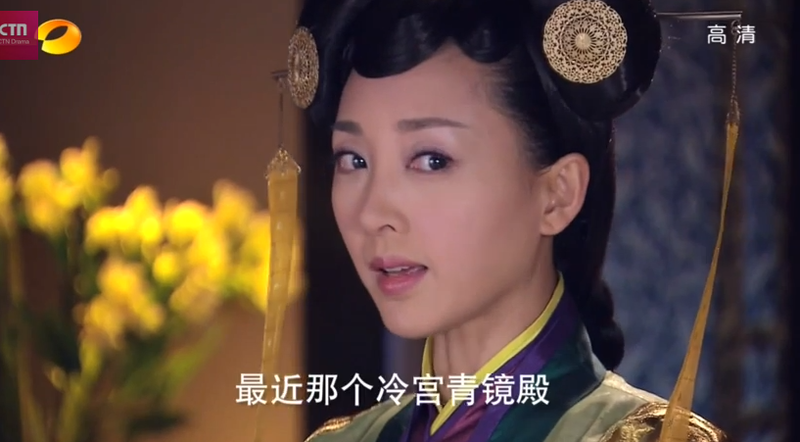 Wang Shang Yi tells Assistant Teacher Song to get rid of Lu Zhen by any means necessary. While Teacher Song is confused, she must comply. 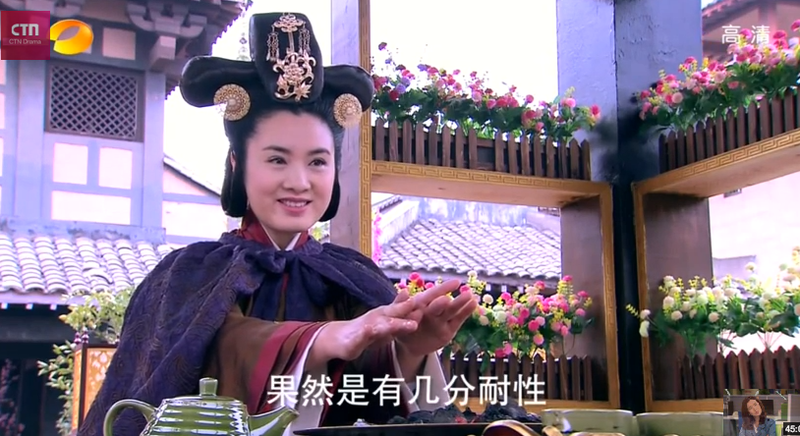 During a tea exercise, Teacher Song starts pouring hot water onto Lu Zhen’s hands instead of her cup. 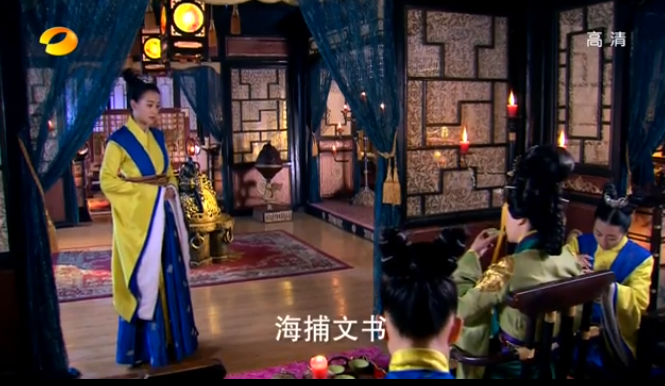 Lu Zhen drops the cup and Teacher Song screams that the cup was priceless, Lu Zhen must be punished and thrown out of the palace. Lu Zhen picks up the cup and says that the cup is made of cheap material, the coloring and markings clearly indicates so. Teacher Song is left speechless. (Lu Zhen 1, Teacher Song 0) Before Teacher Song can say anything else, Head Teacher Yang arrives and asks what the big deal was. Teacher Song, knowing she is in the wrong, tells her nothing. At night, all the maid trainees’ beds are wet, only Lu Zhen’s is dry. A Bi comes over and accuses Lu Zhen of being responsibly, and some girls get the idea into their heads as well. 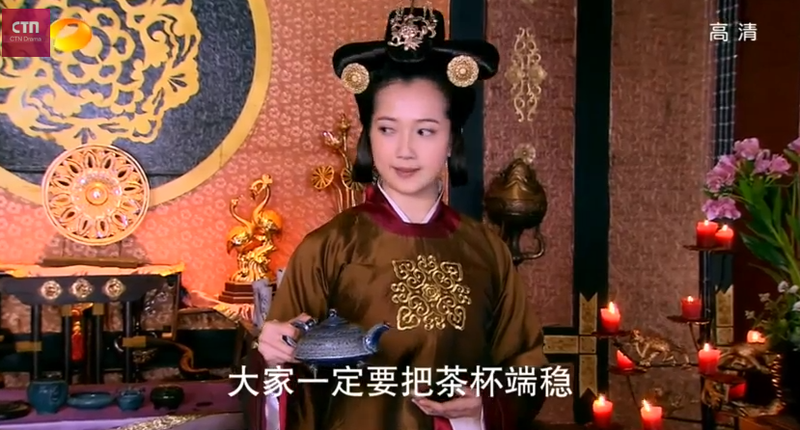 Lu Zhen grabs a pot, throws water on her own bed and smashes the pot angrily. She tells A Bi that she was with everyone the whole day, how could she have done it? Teacher Song watches with a smirk and comes it, telling Lu Zhen that for being so noisy, she can go clean toilets for the night. A Ning wants to protest, but Lu Zhen stops her, knowing that there is a time to fight and a time to keep quiet. Lu Zhen comes up with an ingenious way of cleaning the toilets without having to smell them. But the next day, Teacher Song drags Lu Zhen out there and asks her why some of them are dirty still. 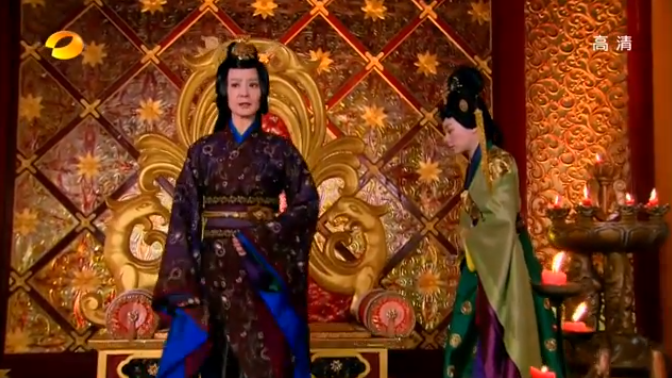 Lu Zhen asks her if she is working with Wang Shang Yi, is that why she’s trying to kick her out of the palace? 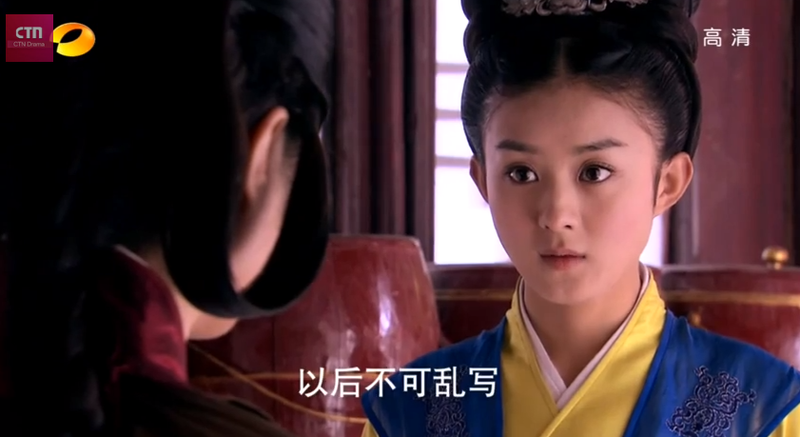 Lu Zhen points out that she was brought in by Lou Qing Qiang, which makes her backer as equally powerful. Teacher Song should at least get the facts straight before trying to throw Lu Zhen out. Again Teacher Song is speechless, Lu Zhen kicks one of the toilet buckets for good measure and leaves. 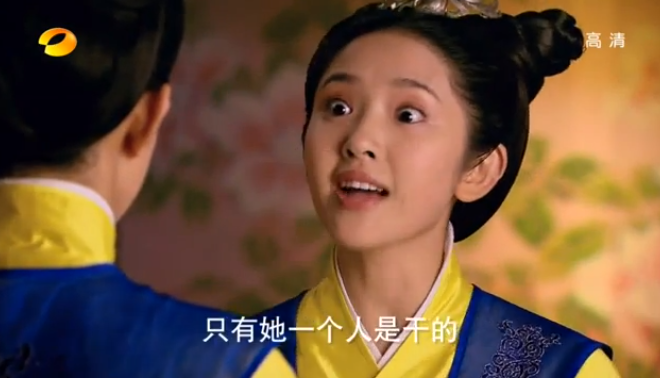 Teacher Song goes to talk to Wang Shang Yi who is enraged that Teacher Song would question her. She threatens to throw Teacher Song into the Palace of Isolation (also known as the Cold Palace) where she will languish for the rest of her days. Teacher Song is desperate, she is about to be released for her term as a maid and can get married, she vows to get Lu Zhen out No Matter What. Teacher Song talks to Shen Qiu Niang and A Bi, asking about Lu Zhen’s background. They say that she looks like a girl with the same name who is wanted for murder. And that’s good enough for Teacher Song, who orders them to accuse Lu Zhen. A Bi, knowing that such an accusation is dangerous to make, manipulates Shen Qiu Niang to do so. 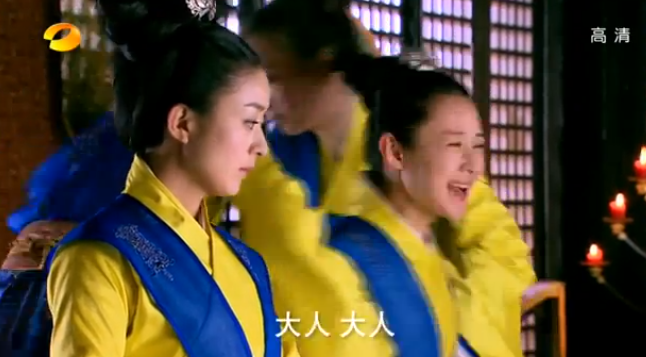 And when Shen Qiu Niang does, Lu Zhen defends herself in front of Lou Qing Qiang. Lu Zhen says that while the girl has the same name, it’s spelled different. And even if she does look a bit a like the girl, that’s not a crime in itself. 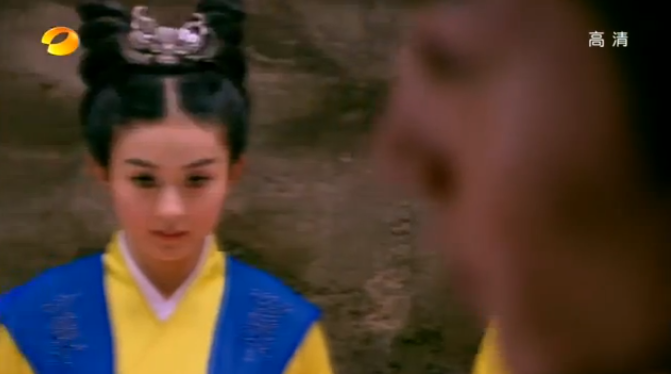 Lu Zhen tosses out the Princess’s name and says that if Lou Qing Qiang doesn’t believe her, then she can go check with the Princess. 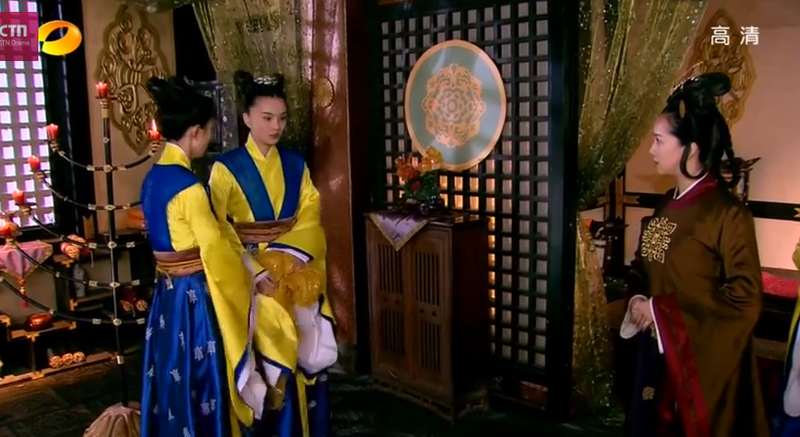 While not an entirely convincing argument, Lou Qing Qiang buys it for now, on the account of Lu Zhen knowing the princess. For false accusations, Shen Qiu Niang is sentenced to thirty slaps with giant wooden bat things. When Shen Qiu Niang comes back from her punishment, A Bi and some girls shun her. Lu Zhen shows her kindness which A Bi scoffs at Lu Zhen. Shen Qiu Niang cries and apologizes, she says she was wrong. Lu Zhen reminds her that they’re all here and must rely on each other to survive. Luo Qing Qiang, isn’t wholly convinced but when she does investigate, the wanted posters of Lu Zhen aren’t there anymore (on the account of her stepmother believing that she is dead) the matter rests. The Princess and her husband is leaving for the border, as the General is fulfilling his duties. The princess is in the palace for a visit. 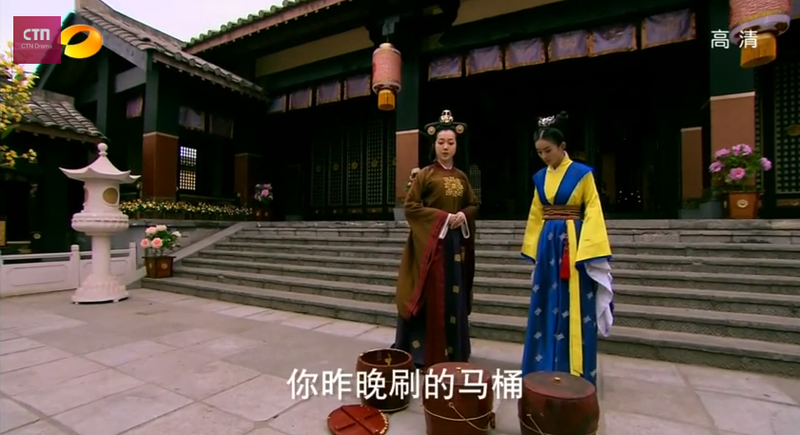 Luo Qing Qiang takes this opportunity to assure the princess that Lu Zhen is well situated. The Princess doesn’t know who that is and expresses puzzlement. Luo Qing Qiang isn’t too worried, and plans to ask Lu Zhen in detail later. 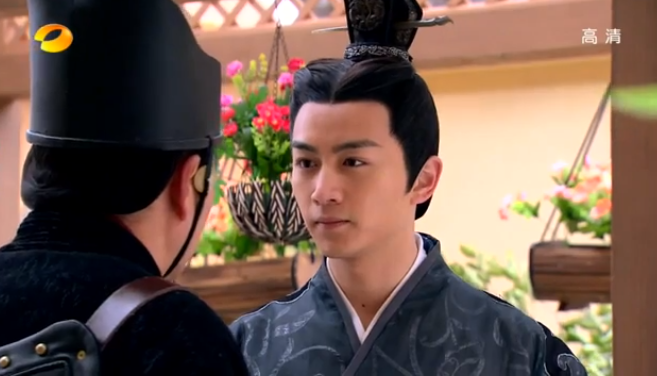 The Dowager meets Gao Zhan and tries to put on a kind face. 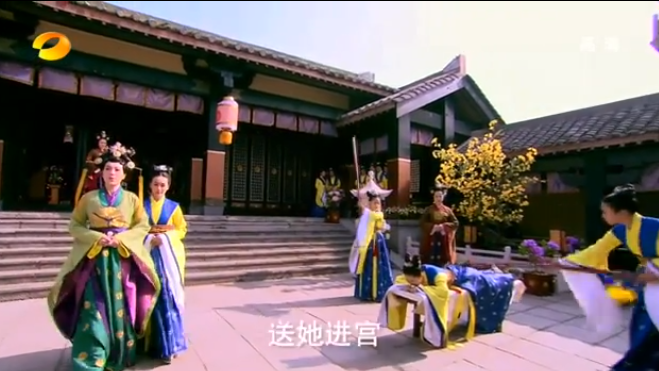 She asks after his arm, saying that he should be careful, after all the last crown prince who was injured… Gao Zhan grabs his sword and throws it at a pillar where it stuck fast. He smiles and says that he’s in great health, he has to be in order to protect himself within this palace. The Dowager’s smile drops and she asks him what he wants. 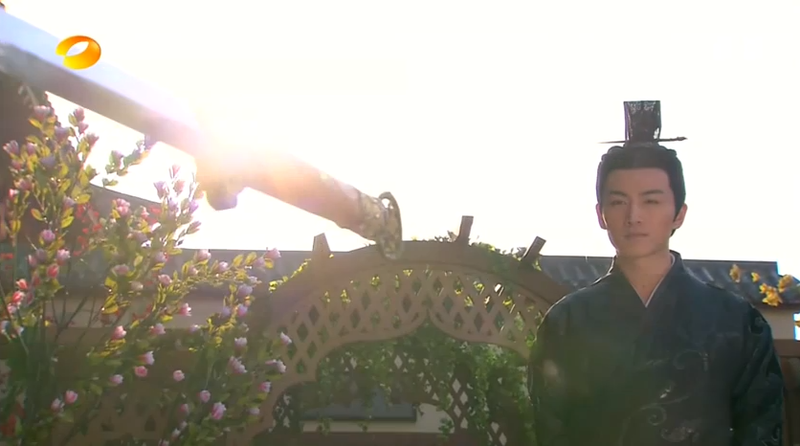 Turns out that the assassin’s left evidence that connected to the Dowager’s brother to the attempt on Gao Zhan’s life, which allowed Gao Zhan to arrest the whole bunch of them. And The Dowager wants to negotiate for his release. Gao Zhan says no problem. As long as the Dowager agrees to leave him alone and give the military power to her son. The Dowager knows that she’s back into a corner and agrees, swearing on her son’s life. 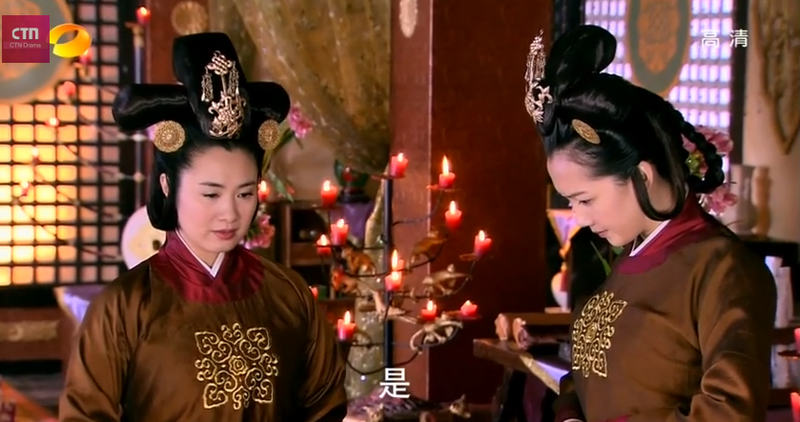 The Dowager and Luo Qing Qiang discuss the turn of events. Now that the Dowager has given up the military power, she has to be sneakier. But since her family still controls most of the court, there should be no issues. She’s still going to try to kill Gao Zhan. 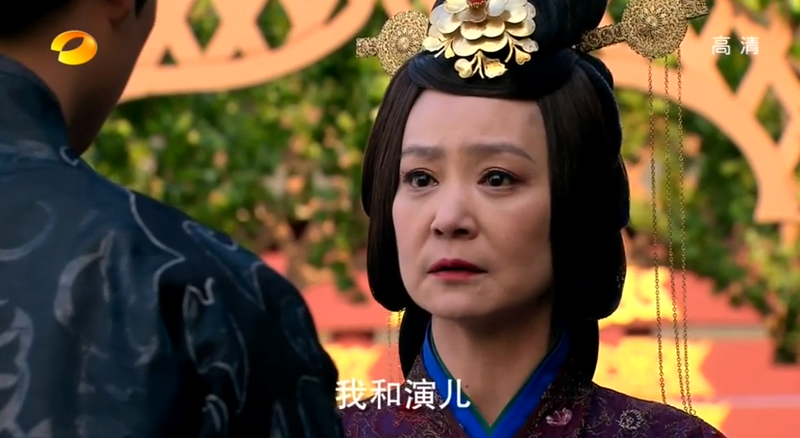 But for now, she wants to make sure that her son has kids, so that she can push Gao Zhan off the Crown Prince position. 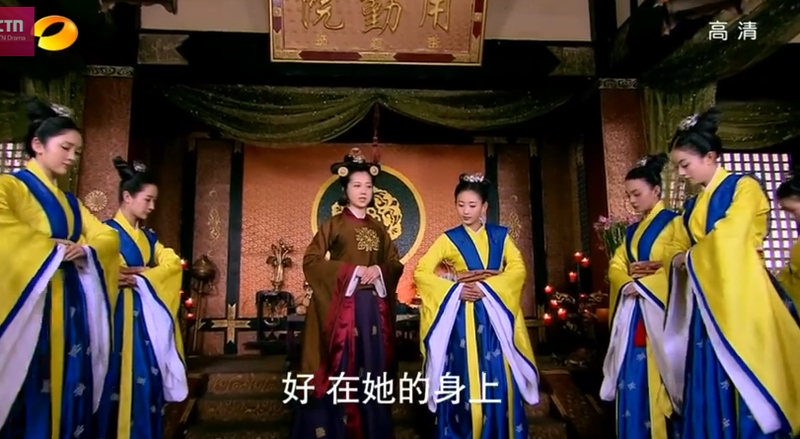 Luo Qing Qiang reports that the Emperor has not visited any concubines, mainly because the Royal Concubine, who holds the Empress seal, has not signed off or acknowledged any of them, which means that none of them can receive the emperor. The dowager is enraged and says that she will show the Royal Concubine who is boss, and orders a banquet in which all the concubines have to attend. One way or another, she will force the issue. 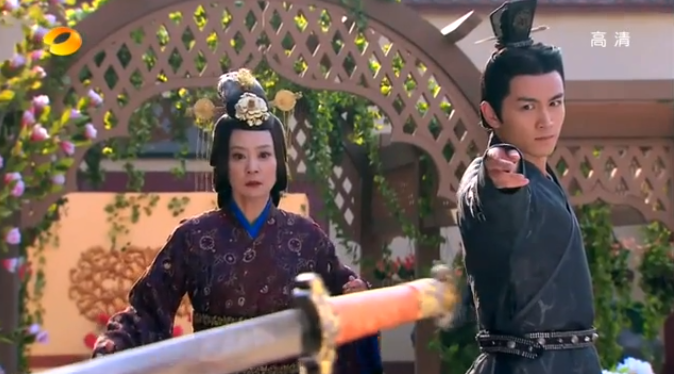 When the Dowager leaves, Gao Zhan’s bodyguard asks if he really believes the Dowager. Gao Zhan admits that he doesn’t but for now, she’ll be more subdued. 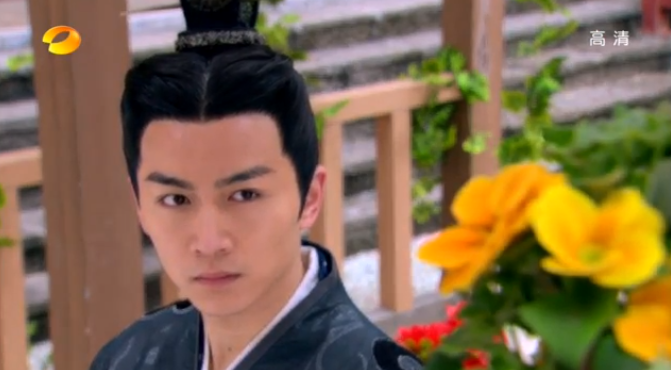 He asks if they’ve found Lu Zhen and the guard shakes his head. They’ve searched the canyon three to four times, but now that winter is coming, the bigger beasts might have finished her. 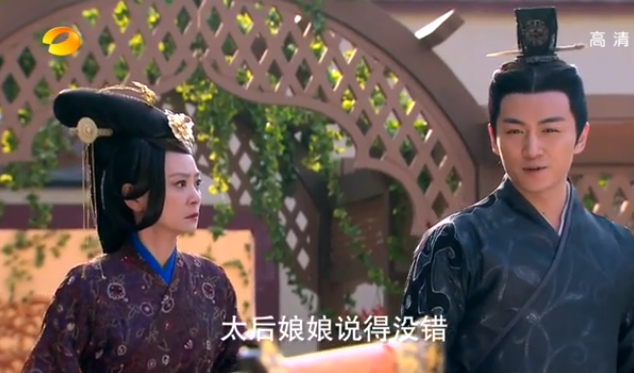 Gao Zhan says that it might be true, but he feels in his bones that Lu Zhen is still alive. He turns and looks at the yellow flowers, like the one he gave to her at the cottage and sighs that it’s all his fault. 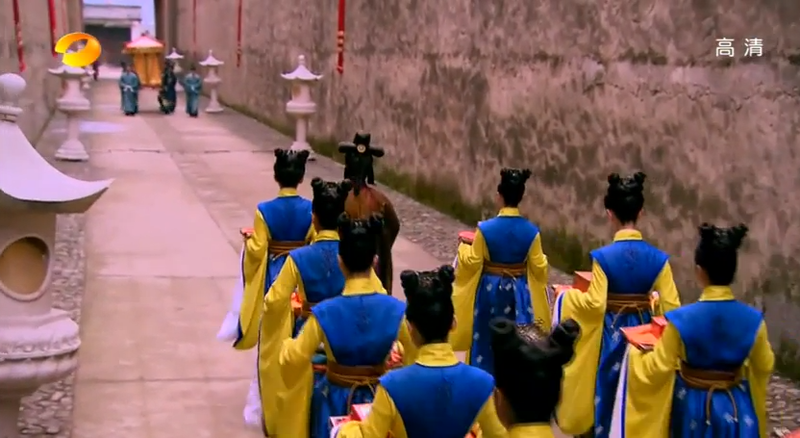 Lu Zhen and the maid trainees are carrying palace gifts. They kneel as the palanquin with Gao Zhan in it passes them. While they don’t see each other. He’s still looking at the yellow flower, and she at the ground, it’s obvious they’re going to meet very soon. Aw thanks for reading! I’ll be uploading soon! This helps a lot coz my mandarin isn’t the best, especiallyin the form of traditional chinese so the recaps help to understand the story more! Thank you for reading! I’m glad that you like it! And honestly, period dramas are a monster in their length and ancient jargon, sometimes I get tripped up as well. I’m updating on friday, please come and read more!